NBC has a very particular set of skills, and it's hoping they will be used to create a hit TV show. 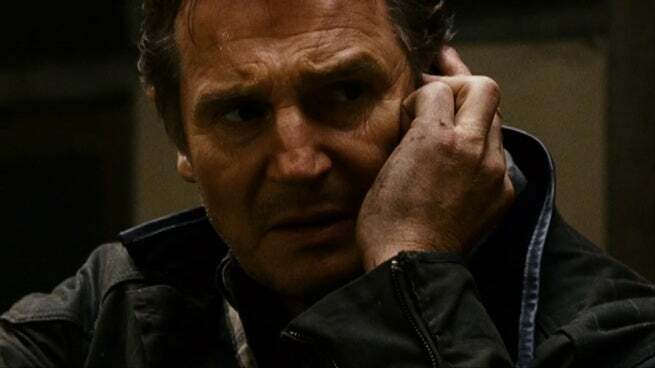 Taken, the trilogy of films that made everyone scared to talk to Liam Neeson on the phone, is being developed as a TV series, with creator Luc Besson involved as a producer, Deadline reports. Of course, having one girl get kidnapped twenty-two times a season would be a little ridiculous, so they're looking at the series as a prequel story, telling the origin of how Bryan Mills, the retired CIA agent in the movies played by Neeson, got those famous skills. Mills will be a young CIA agent on the show, with no family ties just yet, however it's playing a little fast-and-loose with timelines, setting it in the modern day. For comic book fans, this is like "Ultimate Taken," with familiar characters and concepts, but young and modern. No timeline for the series development has yet been established, with a lead writer and showrunner currently being looked for.